1979 Farrell Two Roll Calendar Mill. We will make efforts to produce more information on this item as questions are asked. 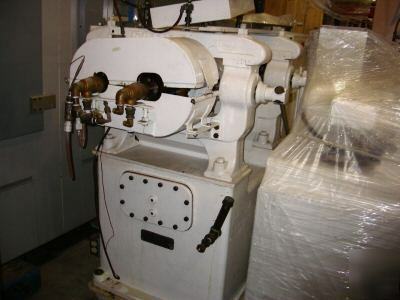 We are equipment brokers and the owner of this equipment has little printed information on it but has working knowledge of the item and will be available for questions as they arise. This equipment is used and as such does not come with any type of expressed warranty.